A four-time Northeast Conference Coach of the Year, Taylor Wray wrapped up his seventh season as head coach for the Saint Joseph's men's lacrosse team in Spring 2018. 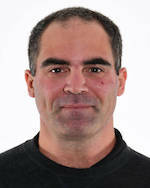 Wray was named the head men's lacrosse coach at Saint Joseph's University on August 1, 2011, becoming the fourth coach in the program's history. The winningest coach in Saint Joseph's men's lacrosse program history, Wray owns a seven-year record of 61-47 and has produced four 11-win seasons over the last five years. Currently 25-5 in five NEC regular seasons, including a blistering 17-1 record from 2014-16, Wray has coached three NEC Offensive Player of the Year selections, the 2016 Player of the Year and Defensive Player of the Year, the 2015 Rookie of the Year, and 43 All-Conference selections in addition to three NEC Scholar-Athletes of the Year and 34 NEC Honor Roll honorees. Keating has developed three consecutive NEC Offensive Player of the Year selections in Mike Rastivo (2016, 2015) and Ryan McGee (2014), as well as the 2016 NEC Player of the Year in Rastivo and the 2015 NEC Rookie of the Year, Chris Blewitt. Additionally, under Keating’s direction, the Hawks saw history made as Rastivo earned USILA/Nike All-American Honorable Mention accolades, marking the first All-American recognition in program history. Former Muhlenberg ('11) standout goalkeeper Mike Horowitz wrapped up his fourth season on the Saint Joseph's men's lacrosse coaching staff in Spring 2018. After serving as a volunteer assistant coach in 2015, Horowitz was promoted to assistant coach for the 2016 campaign and has been in that capacity for the last three seasons. Horowitz assists in all facets of the program, with a specific focus on mentoring SJU's goalkeepers and face-off unit and coordinating the scout team offense.